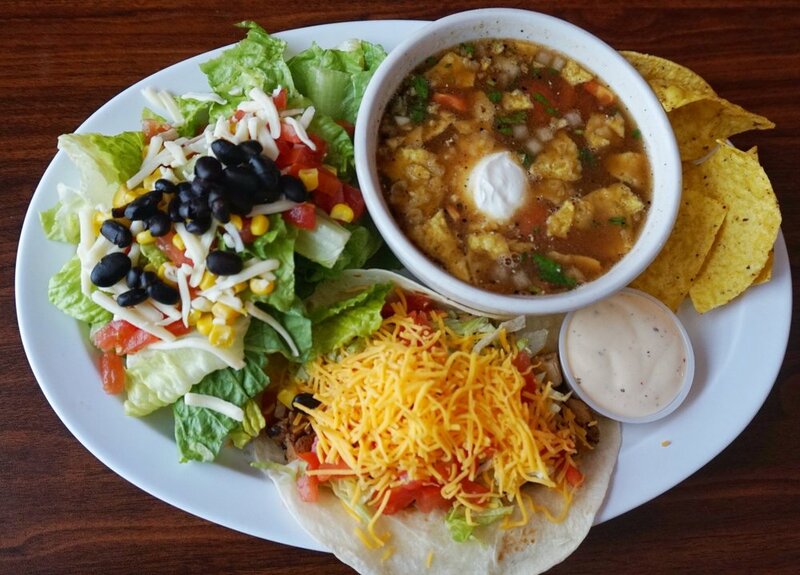 The Fat Burrito offers Fresh Ingredients, Original Recipes, and Giant Portions. Every Single Time. The Fat Burrito opened in June 2006. Since then, The Fat Burrito has not just been providing Mexican Food, but an experience as well. The experience of watching an order come to life, the appetizing food arriving at the table, and the first bite; greeting every taste bud with a warm hola. 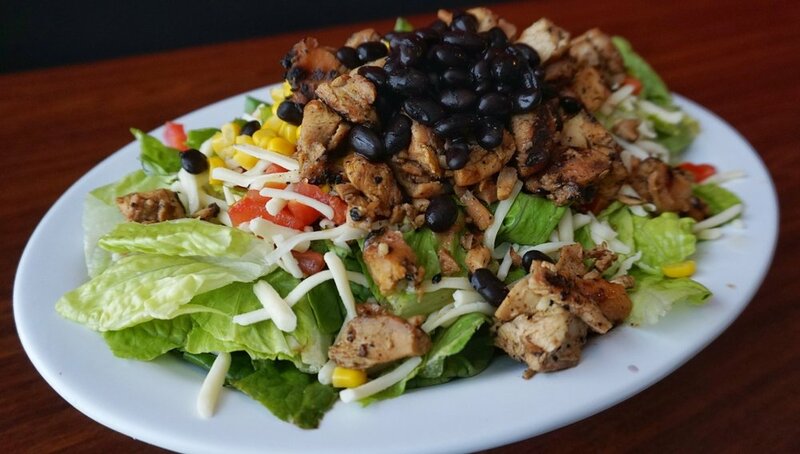 Grilled Chicken, Beans, Rice, Lettuce, Tomato, and Onions. A slimmer version of our famous burritos. Includes: Beans, Rice, Lettuce, Tomato, Onion, and Cheese. Choose from Chicken or Beef. (A Combo includes Tortilla Chips and a Drink). Seniors Age 55 and up get a free fountain drink. Choice of Ground Beef or Chicken. Includes Rice, Lettuce, Tomato, Onion, and Cheese. Available only in one size, 10 inch tortilla. ¡Muy Grande! 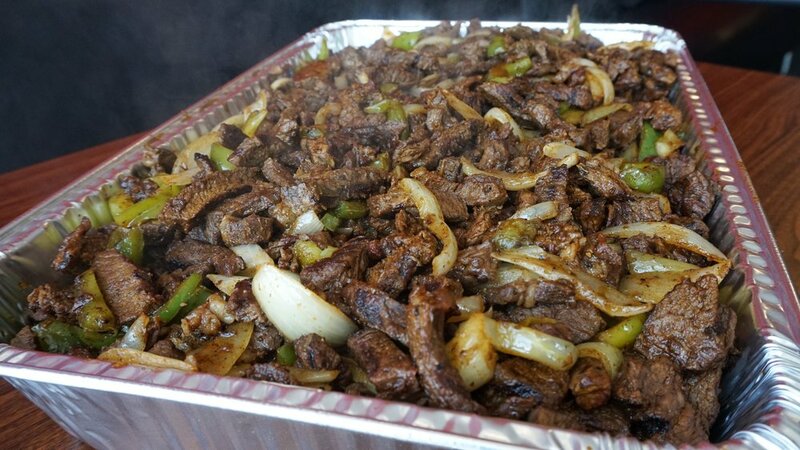 Includes Grilled Steak (Asada), Grilled Chicken, Cheese, Rice, Beans, Sauteed Onions, Sauteed Peppers, Lettuce, Tomato, and Sour Cream. Comes in only one size, 16 inch tortilla, and can easily feed 2 to 3 people. All nachos comes with crispy tortilla chips, beans, lettuce, pico de gallo, and sour cream. All quesadillas come with lettuce, tomato, and sour cream. The slim quesadillas come with a side of rice and beans. Choose from chicken or beef. Includes a side of Rice and Beans. Add .50 ¢ for steak. Choose from chicken or beef. Includes a side of Rice and Beans, as well as a Fountain Drink. Add .50 ¢ for steak. All enchilada plates come with lettuce, tomato, and sour cream, as well as a side of rice and beans. Please note that a week notice is needed and a minimum of 80 people is required for delivery. Please note that a 4 day notice is needed for all tray orders.